The Law Firm of Krupnick, Campbell, Malone, Buser, Slama, Hancock, P.A. 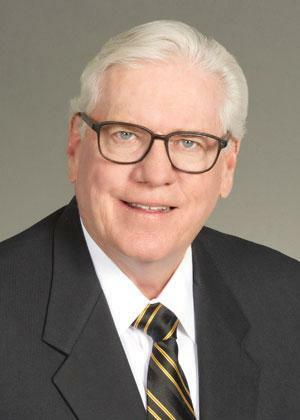 is deeply saddened to announce the unexpected loss of Senator Walter G. “Skip” Campbell, Jr.
For decades, Skip was one the most respected and beloved members of the South Florida legal community, state and local politics and our law firm. From the time he cofounded Krupnick and Campbell with Jon Krupnick on March 23rd, 1974, Skip has been a monumental warrior for justice in our community, state and country. His relentless commitment to helping others began in the courtroom and continued into the State Senate, Coral Springs City Hall, the Florida Bar, and innumerable religious, philanthropic, professional, and community organizations. Skip made an indelible mark on this world and leaves it far better off than he found it. We sincerely hope that the millions of people Senator Campbell helped and touched will continue his legacy of making our world a better place. Krupnick and Campbell will honor Skip’s legacy by carrying forward his passion for justice, work ethic, integrity, and honor in the practice of law and our community. Our deepest sympathies go out to Skip’s beloved wife Lynn, their children Christina and Daniel, their grandchildren, his sisters Maureen and Kathleen, his brother John and their entire extended family. Skip’s family was the center of his universe. We thank everyone for the support and comfort you have given us during this sad time.